The new GMC Terrain 2018 sees its first major update since it was introduced back in 2009. 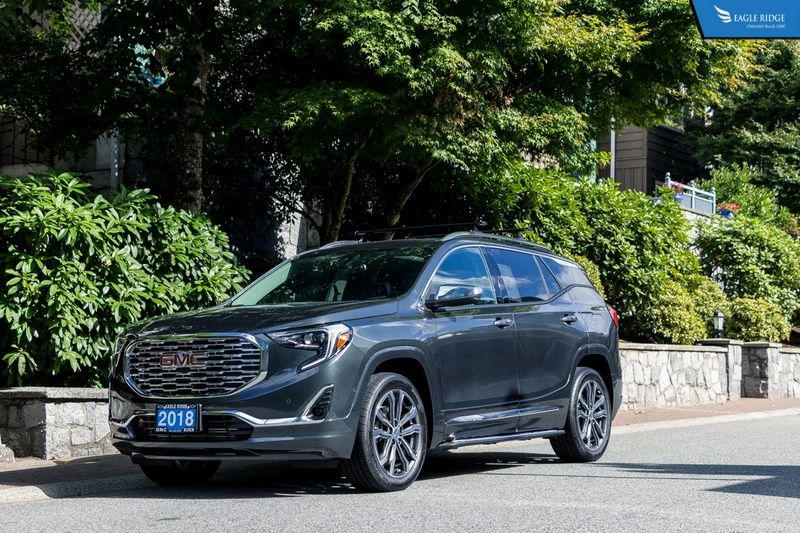 And early sales statistics show that the all-new 2018 GMC Terrain is a hit among consumers. 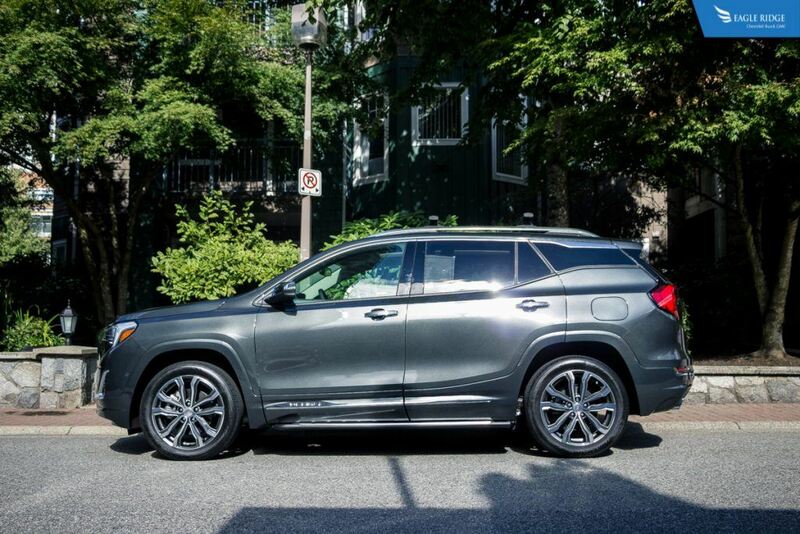 Here are the top things you need to know about the 2018 GMC Terrain. 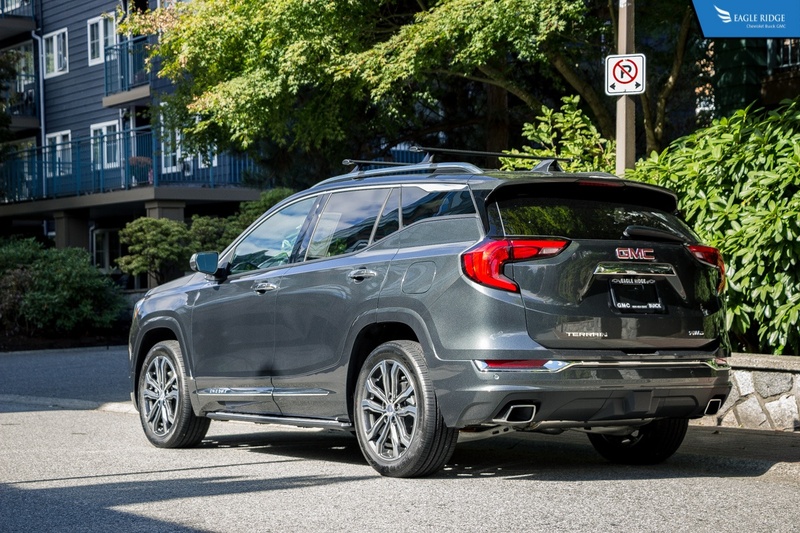 The new 2018 GMC Terrain is now more inline with other competitors when it comes to the physical size of the SUV. It is now 3 inches shorter in overall length compared to the previous generation but overall interior volume remains relatively unchanged. There are 838L of cargo space behind the back row of seats and if those seats are folded flat, cargo space increases to 1,792L. The front passenger seat can also fold flat to provide more cargo space for extra long items and there is a considerable amount of extra space underneath the trunk floor to stow away smaller items. Another benefit of the revised and smaller dimensions is a reduction in overall weight. The new GMC Terrain 2018 is almost 400lbs lighter than the previous model which aids not only in performance but also fuel economy. Instead of the usual 4 cylinder and V6 options, there are now 3 choices for engines. All of them are turbocharged 4 cylinder engines and one of them is a diesel. The standard engine is a turbo 1.5L producing 170hp and 203 lb-ft of torque. The turbo 1.6L diesel engine is the option for the SLE and SLT trim models and it is capable of producing 137hp and 240 lb-ft of torque. The diesel engine is also the most fuel efficient of the trio with an estimated highway fuel efficiency of 5.9L/100km. A turbo 2.0L engine replaces the V6 with 252hp and 260 lb-ft of torque. Not only is this the performance option of the three engine choices but it also offers the most towing capacity, 3500 lbs. The gasoline engines are mated to a new 9-speed automatic transmission and the diesel engine is only available with a 6-speed automatic. 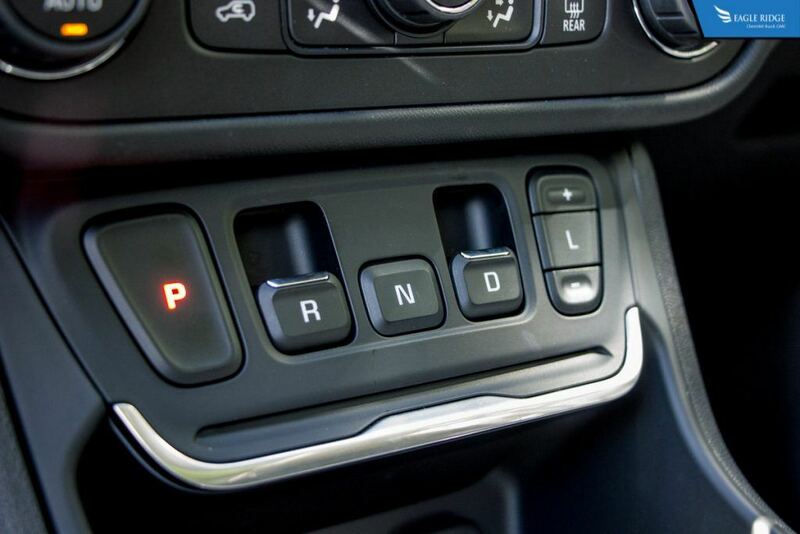 The 2018 GMC Terrain is the first GM product to receive this new type of electronic gear selector, also known as an electronic gear shift (EGS). It consists of 3 buttons and 2 pull tabs to control the operations of the vehicle; Park, Reverse, Neutral, Drive, and Low/Manual. The reason for this new type of gear selector is to make more room for storage in between the front seats. The infotainment system of the 2018 GMC Terrain has not only been updated visually to be more intuitive to use, but also has new features that allow it to be more customizable for each individual that drives the vehicle. 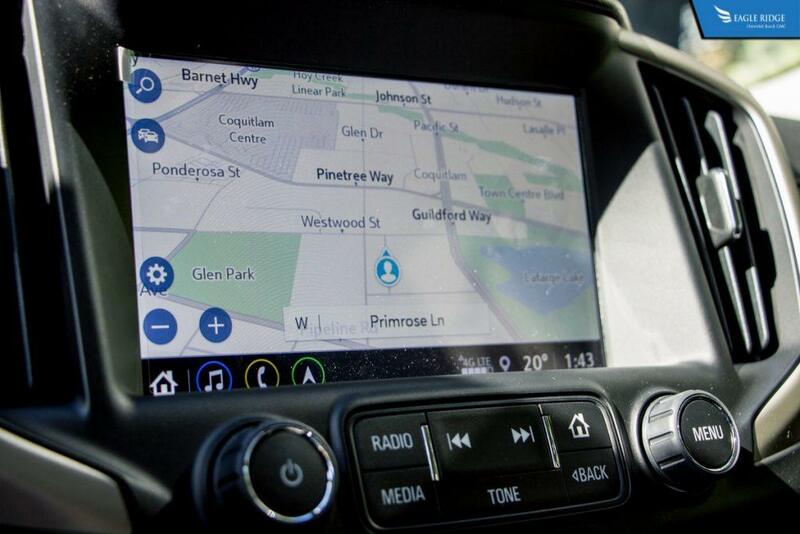 The new system allows for multiple driver profiles to be set up with each individual’s preferences on radio stations, navigation destinations, vehicle applications, and vehicle settings. The new infotainment system can also be, for the first time, updated by GM via built-in 4G LTE with all of the latest system updates and new features as they come along. No more needing to go to a dealership to get updates.